St Dom-index Player Ratings for the Everton vs QPR game in the FA Cup 3rd Round on Saturday 4th January 2014. Alex Jones is back with his match ratings and controversially suggests that it is time for Osman and Naismith to look elsewhere for their football. What is your opinion? 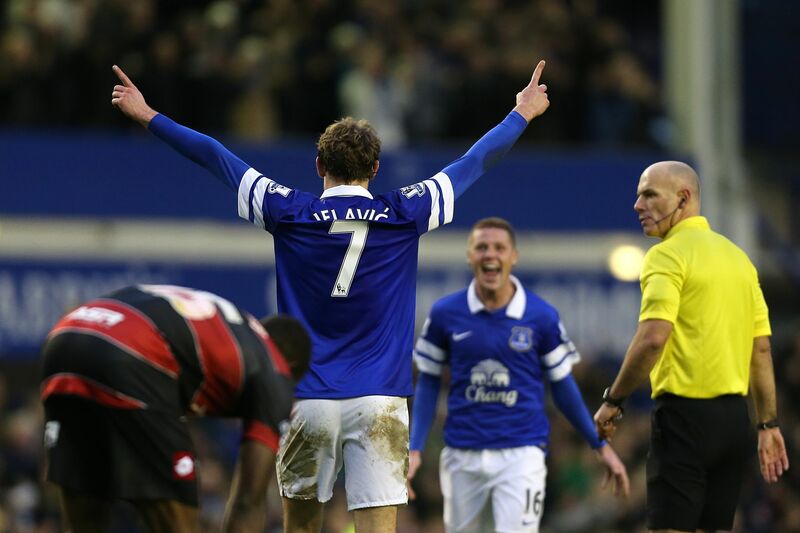 Do either of the two players deserve further opportunities at Everton? Didn’t have much to do but when he was needed he did the job. Good to see him getting a bit of game time and Martinez will be faced with a difficult decision the further we go in the competition. Would you continue playing with him if we drew difficult opposition or reached the later stages of the competition? Very impressed with his performance today, I haven’t seen a centre back as comfortable on the ball as he is. You’d think with this game being one of his first Everton starts he would just do that basics and make sure he made no mistakes, but after that brilliant tackle, he really grew as a player and gained a lot of confidence. I think his partnership with Alcaraz is very good too, both are strong in the air and both are very comfortable playing it on the floor. Very similar to Stones, was very good and looked very comfortable on the ball. He gave Charlie Austin no space and every time Austin got the ball he was able to take it off him and set up a counter attack. Had a very good game. The thing that impressed me the most was the way he defended, I don’t think QPR played one cross in from the left. He doesn’t let people past him easily and even on the one rare occasion that he did in this game, he was able to use his speed and get back and put a tackle in before the ball was crossed into the box. I think if Everton as a club want to move on then players like Naismith aren’t good enough. This is quite hard for me to say as at first I did think he needed a chance, but in the game today you could see that he isn’t quick enough and his touch lets him down too often. I think he could do a job for a Championship team. Solid game and I would like to give a special mention to the manager for signing him. Selling Fellaini and buying James was the best thing we did in the summer, not only did we get the better player, but we also got him for a cheaper price. As he is only young he currently has the fitness levels which allow him to attack and defend which is very important for us. Playing two holders can sometimes be a negative tactic, however with McCarthy in the squad it works a treat, using his engine to support both the attack and the defence. Barry didn’t have much to do as we battered QPR, so there isn’t much to say. I really hope he stays at the end of the season as he is a crucial player. Although he never wins the headlines he’s a player that you only appreciate what he does when he’s not playing. Was unplayable today, QPR didn’t know what to do when he ran at their defence and he took his goal really well. I think next season he will be one of the best players in the league; his body movement is brilliant and today was taking it past players like they weren’t even there. Had a quiet game and Ii think that he is unfortunately coming to the end of his Everton career. He has been a brilliant servant to the club, but you can see that he is lacking the pace he needs to take it past players and get back and defend. Very happy with his overall performance, I think that we should keep him until Lukaku leaves in summer and see how he does. Not too sure what he was thinking with the penalty but nevertheless two goals will be very good for his confidence.